Before we started the GAPS Diet, we got an Excalibur dehydrator – mainly for making yogurt at that point. Best big ticket kitchen item purchased yet, and I’d do it again except I’d get the 9 tray instead of the 5 tray. 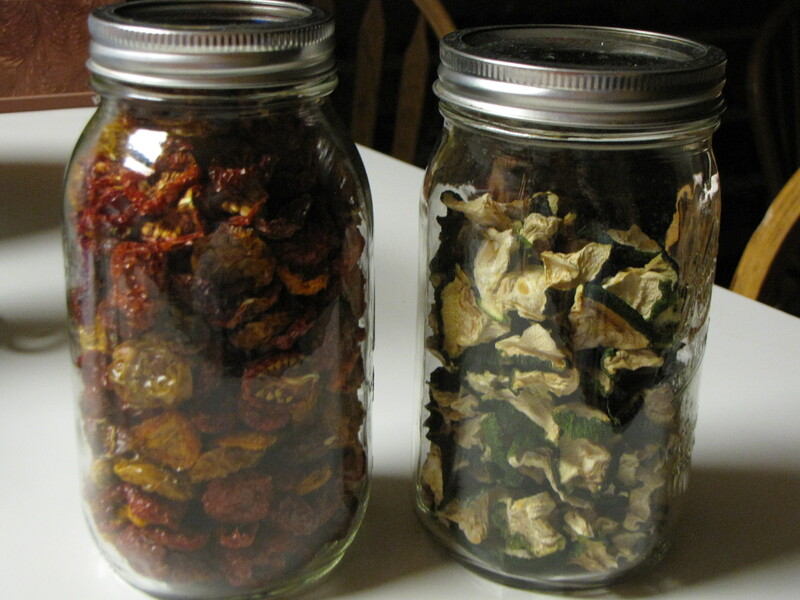 I make jerky, yogurt, dried fruit and veggies, and I also use it to dry nuts after they have been soaked/sprouted. The booklet that comes with it is very helpful, and when in doubt, I Google. Anyhow, the garden has been producing well, and I like to buy bulk at the local farmer’s market too for this purpose. (If you get to know your farmers there, they may be willing to save things for you in bulk at your request!) 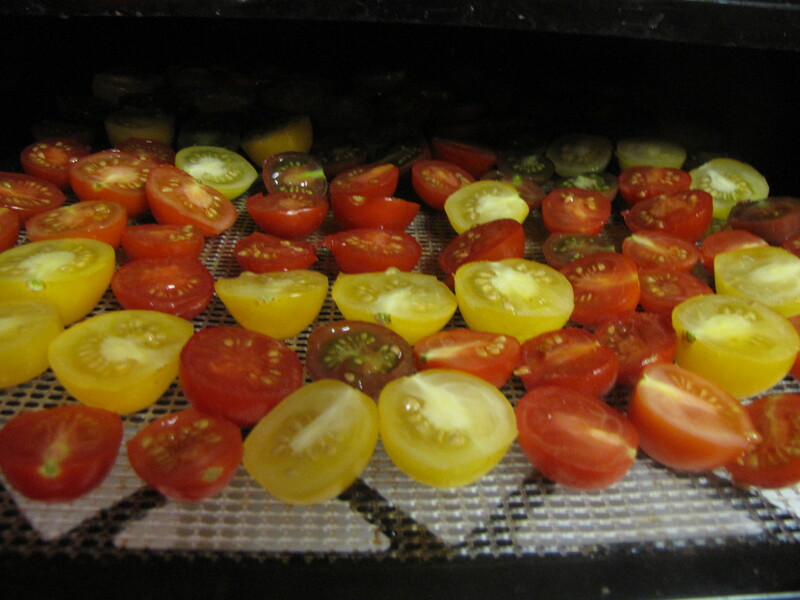 I’m not doing a “how to” – you can get all that from the info book that comes with your dehydrator. More like an “inspirational” to show the positives of this type of food preservation. 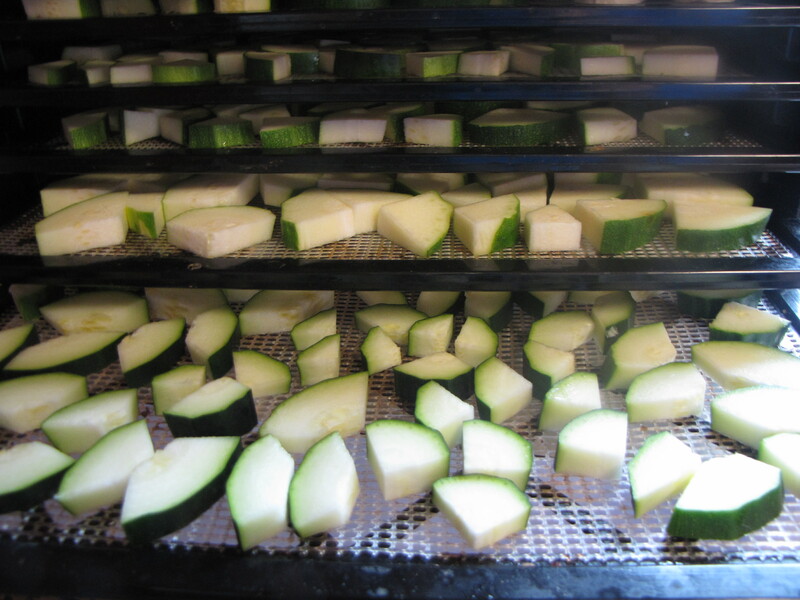 I should add that we have recently been on a pineapple and kiwi dehydrating kick (peel/slice each thinly to dry and follow manufacturer’s guide for times/temp). My kids each picked one for the county fair/4H exhibit, and they were not only unique, they were YUMMY. Here’s a bit of what I’ve done in the past week. I also did a bunch of leeks (which dry beautifully), and have green bell peppers drying right now. These are great for tossing in soups and stews throughout the winter. 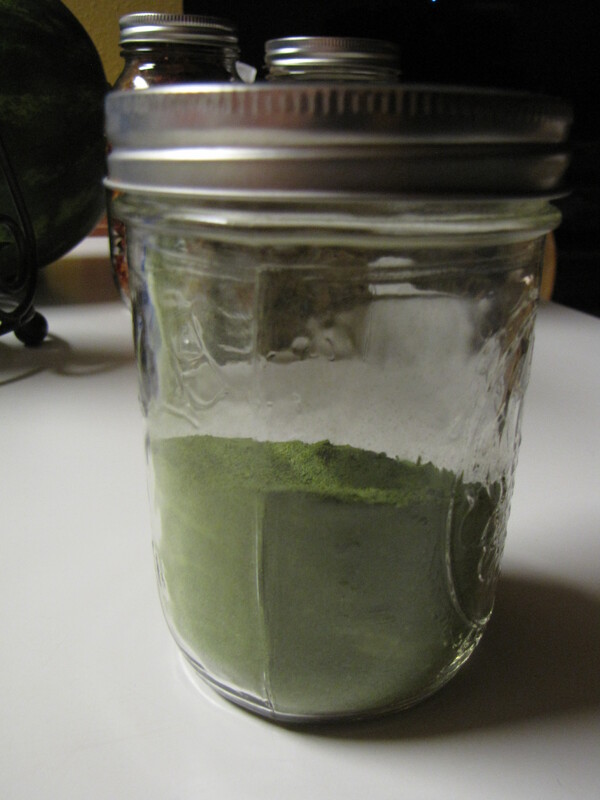 I also do a “greens powder” that is great for smoothies and spaghetti sauce. I filled my trays with kale (or dandelion greens, turnip greens, whatever you’ve got), dried it thoroughly, stripped the leaves off the tough stems and ran through my coffee grinder until it’s a fine powder. I am not that creative on my own, but I sincerely cannot remember what blog I saw it on. Anyhow, it’s not my own creation but I love it. I just did this one last week. It doesn’t make alot per batch but a little goes a long way. Ive been thinking about purchasing a foos processor for a whilw now, It seems like a good space saving option instead of freezing everything. We make a lot of soups and stews in the winter too – it would come in very handy.